The proposed development comprised 3 buildings (between 5 to 18 stories, and 2 basement levels), planned to be built on a triangular shaped site. The development was proposed to act as a transport hub. The Gamlestad project was successfully completed with no negative impact on the surrounding structures and the predicted movements of the soft clay were seen to accurately represent the lateral displacements observed during construction. GDG conducted an extensive study, analysing the effects of pile-driving in extremely soft clay for a development in Gamlestad, Gothenburg. 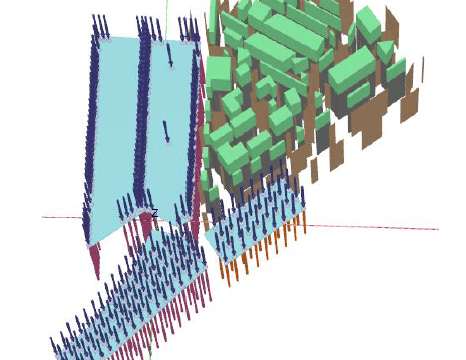 The primary geotechnical challenge for this site was predicting lateral soil displacement as a response to driving of 350 precast, reinforced concrete piles with square dimensions ranging from 235mm to 350mm. The piles needed to be driven to 40m below ground to support the new structure. The main construction measure applied to prevent heave and lateral movements in neighbouring areas was pre-augering to a depth of 12m. GDG’s responsibility was to predict the movements due to pile driving that would occur following completion of this pre-augering. 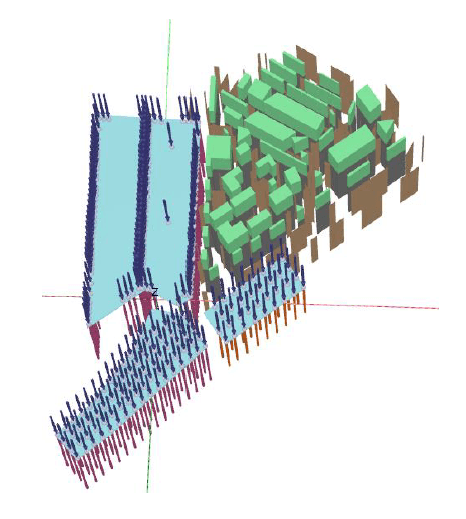 Numerical analysis was undertaken using PLAXIS3D Finite Element (FE) package to analyse the effect of pile installation in to the soft soil on the adjacent buildings. The pile driving was simulated using the volumetric expansion method (VEM), by simulating Volumetric Strain within the soil body. This feature allows changes in an element’s volume that induces additional stresses in the surrounding soil which introduces deflections around the model until a global equilibrium of stresses is reached.